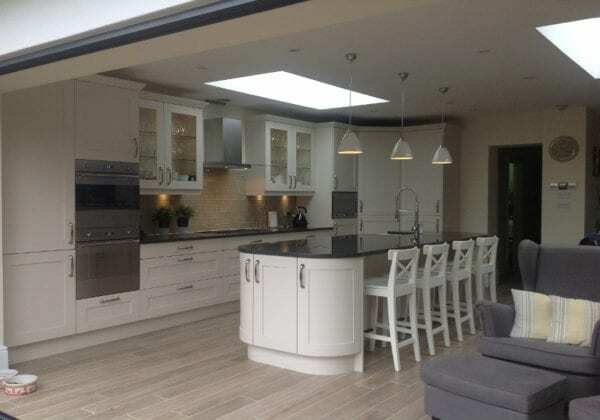 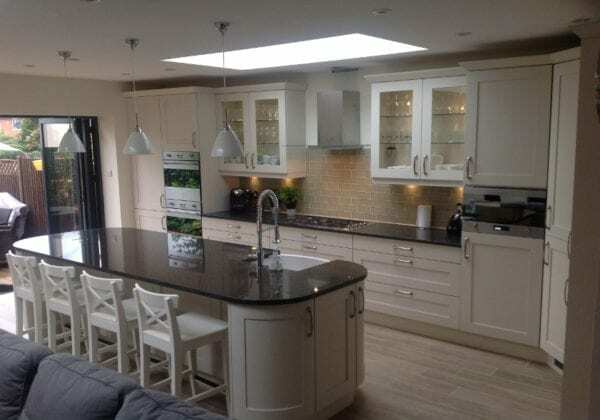 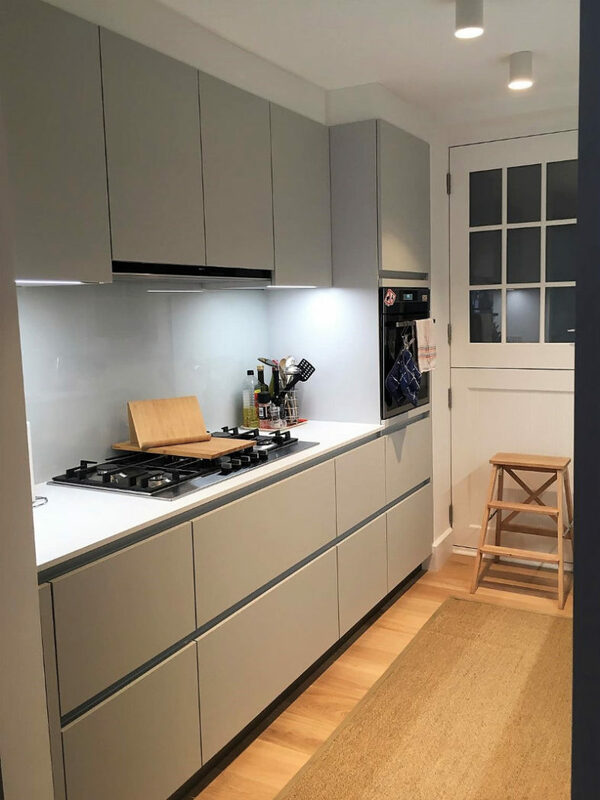 Newark Oak traditional kitchen by Prentice, designed, supplied and fitted by kdcuk. Front colour in painted stone with colour co-ordinated carcase. 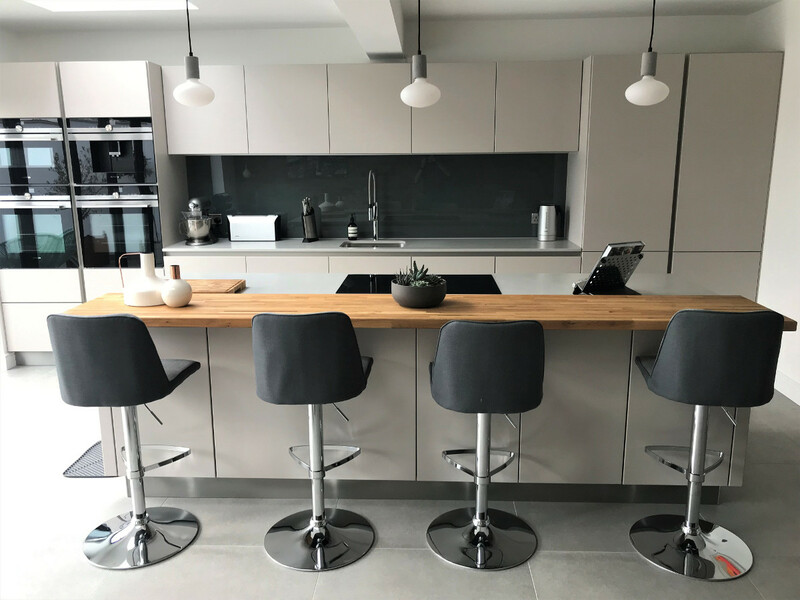 The island features inset seating area for four people with curved oak doors at each end and nero impala granite worktops.